The new Walgreens December Coupon Booklet is available in stores now! These coupons are valid through December 30th (unless otherwise noted), and because they’re Walgreens store coupons, they can be stacked with manufacturer’s coupons. The new Walgreens November Coupon Booklet is available in stores now! These coupons are valid through December 2nd, 2017, and because they’re Walgreens store coupons, they can be stacked with manufacturer’s coupons. The new Walgreens October Coupon Booklet is available in stores now! These coupons are valid through November 4, 2017 unless otherwise noted, and because they’re Walgreens store coupons, they can be stacked with manufacturer’s coupons. The new Walgreens September Coupon Booklet is available in stores now! These coupons are valid through September 30, 2017, and because they’re Walgreens store coupons, they can be stacked with manufacturer’s coupons. 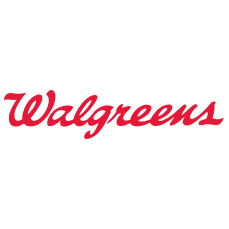 The new Walgreens August Coupon Booklet is available in stores now! These coupons are valid through August 26, 2017, and because they’re Walgreens store coupons, they can be stacked with manufacturer’s coupons.